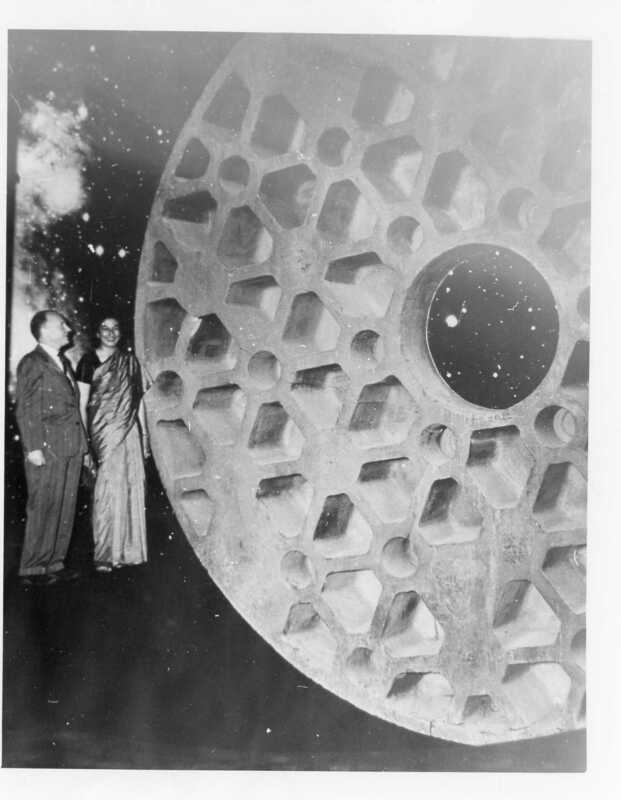 The disk in the photo is the original 200″ reflecting telescope disk made for George Ellery Hale in 1934. The disk was to be installed at the Palomar Observatory in California. And this disk, the first one they created, is imperfect due to the mold cracking as the glass was being poured to create the disk. So the original disc, seen in the photo is, as it has been for many years, on display at the Corning Museum of Glass. The second disk they poured did, indeed, go on to be used by the Palomar Observatory — where it is still being used today. And stepping away from the disk discussion for a moment — here’s is an actual local history mystery question! Does anyone know the identity of the two people seen standing next to the disc in the photo?